Yup, today is my day for the 100 Blocks Blog Hop and I am so excited. 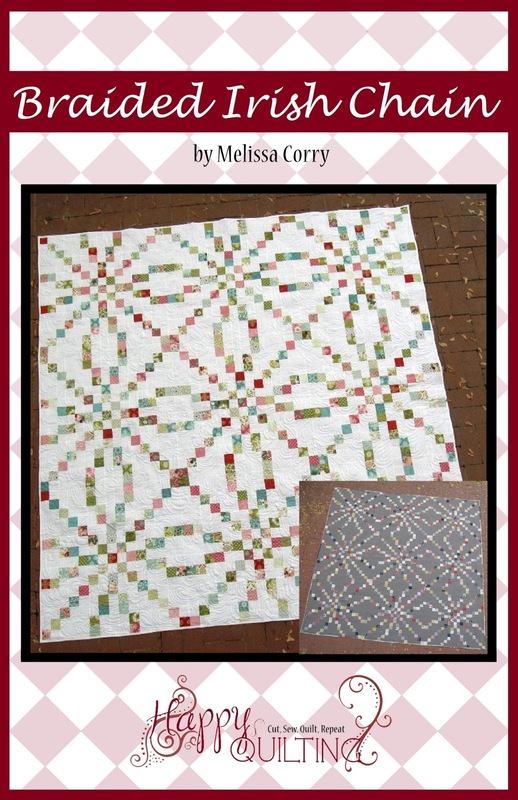 As I shared last week this particular hop is so very exciting for Quiltmaker because it is their 10th Volume meaning a total of 1000 blocks!!! This hop is so very exciting for me because not only did I have a block in this groundbreaking volume, but that block also happens to be on the cover along with my name!! EEEkkk!!! And I had so much fun making the block I couldn't stop there. I just had to see it in a quilt . . . 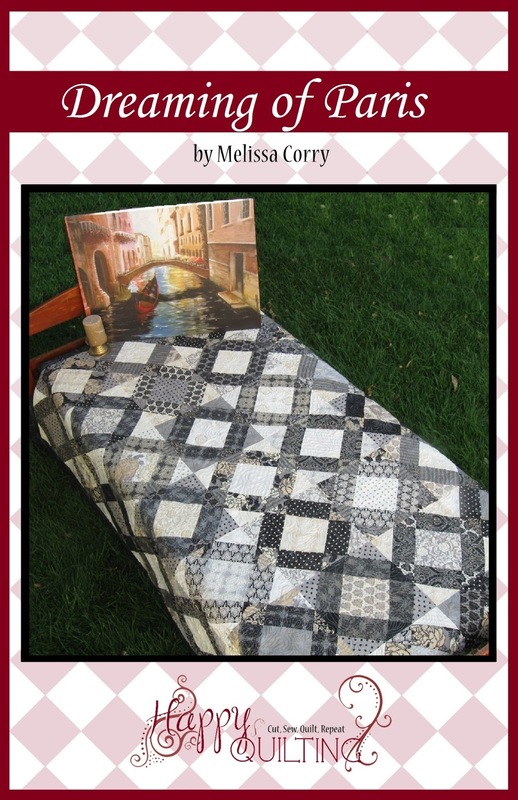 So I made 2 baby size quilts for the Designer Gallery section of the magazine. I made 2 because of course, there needed to be a Boy version an a Girl Version :) And I decided to do a slightly more scrappy approach which I absolutely love!!! For the Boy Version, I used prints from Elementary by Sweetwater for Moda. And for the Girl Version I used Into the Woods by Lella Boutique for Moda. When it came time to quilt, I decided on free motion all over swirls for the boy. This really is one of my all time favorite things to quilt. I know I have been promising to do a video tutorial on it and I haven't forgotten. It will be coming ;) I used So Fine 403 Putty and it blended away perfectly. 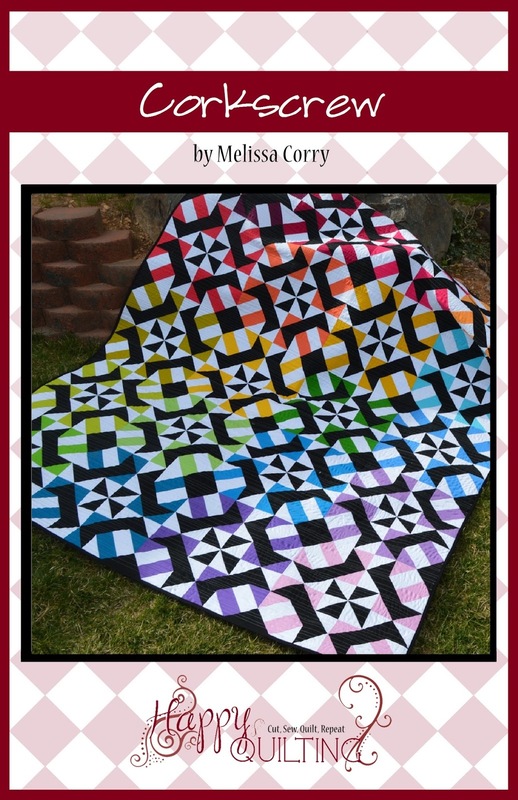 Be sure to pop over to Quilty Pleasures for lots of other amazing blocks from Volume 10!!! While you are there you can enter into some amazing giveaways as well. And speaking of Giveaways . . . Lets have one. 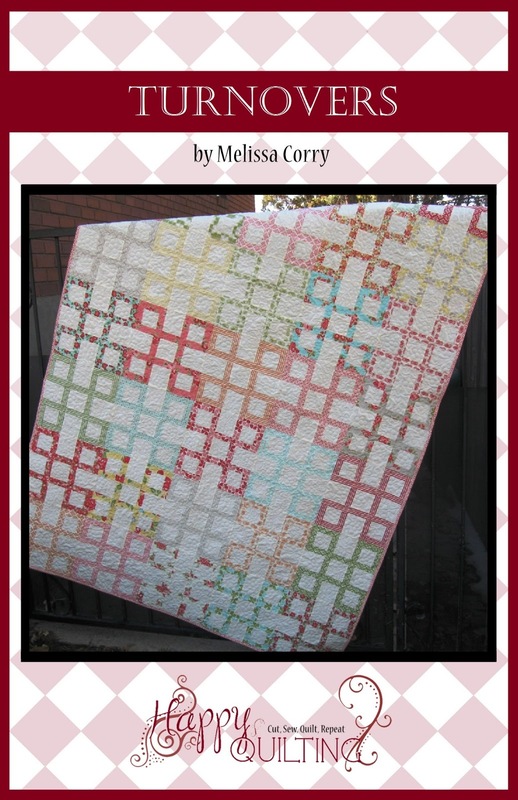 I have a copy of Quiltmakers 100 Blocks Vol 10 for one lucky Happy Quilting reader!! 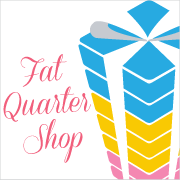 Thanks again for popping in today and I hop you have a very Happy Quilting Weekend!!! Very nice block! It gets a 10 from me! It was 10 degrees here which is better then ten feet of snow. Love your block! 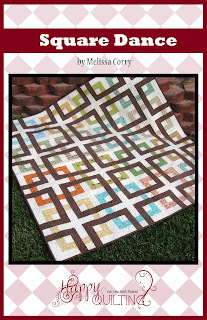 I'd love to have a copy of Quiltmasters 100 Blocks Vol 10 so I could try 10 of the designs! I give your block a 10 and the quilts you made from it! Like it! 10 out of 10! 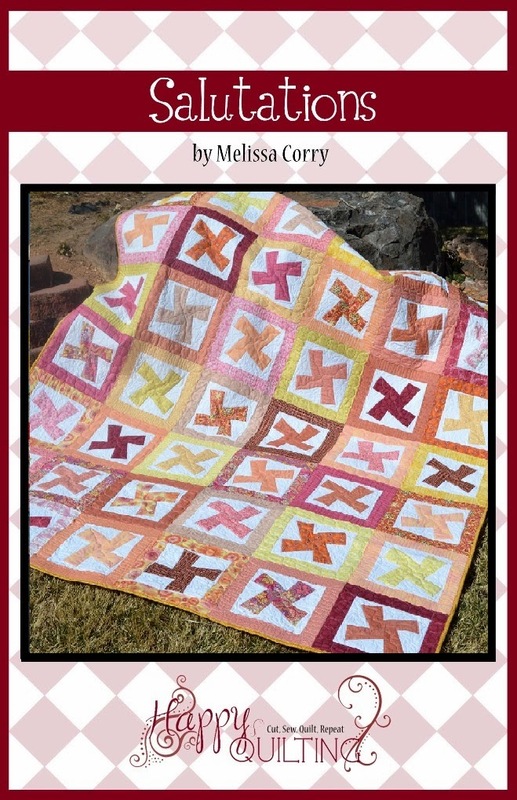 I'd love to have a copy of Quiltmasters 100 Blocks Vol 10 so I can make lots of sampler quilts for charity. Great block! Love seeing the quilts you made with it. Looks like there are at least 10 different fabrics in them. Thanks for the chance to win! On a scale from 0 to 10 I would give you a 12 for this block! 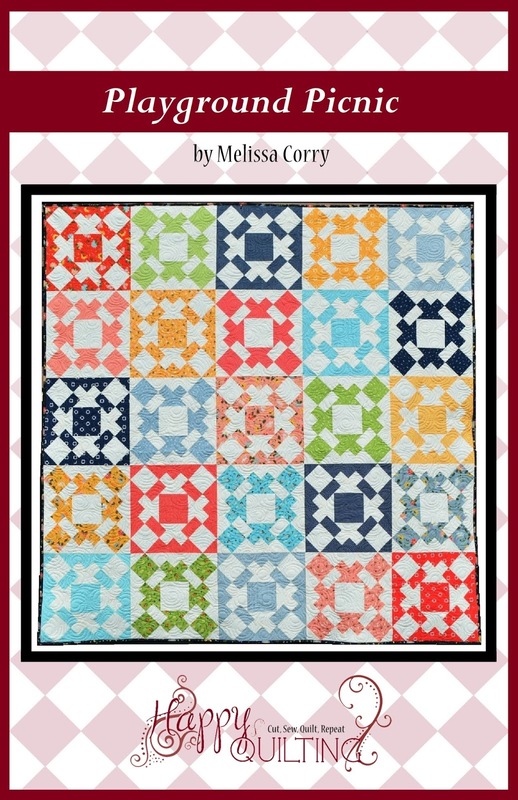 Your block and the quilts made from it all deserve a 10! Absolutely beautiful! I love how you showed so many ways to use the block. It is certainly a 10 out of 10! 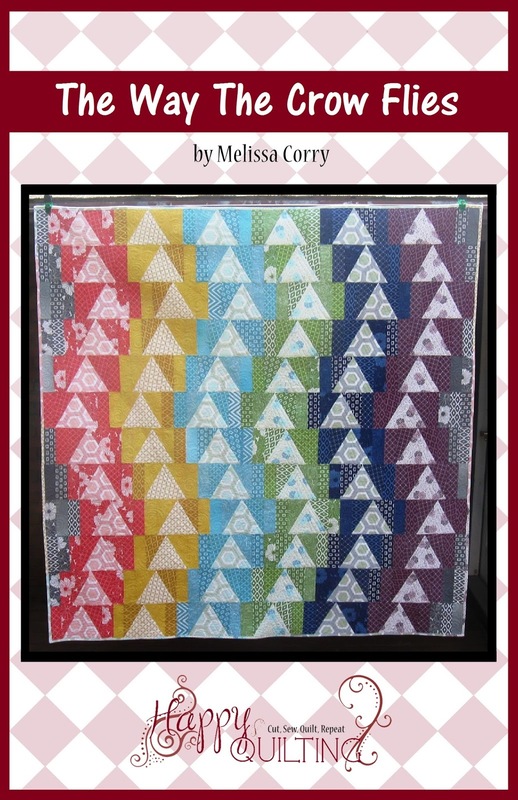 Your block is adorable, and I wonder how a quilt with this block would look with 10 different fabrics in it?! Wonderful quilts, just could make 10 versions of it. Congratulations. It is so exciting to see something you've created in print for so many others to enjoy. Good job. Love the pattern. Volume 10 and your block is my "show and tell" for my quilt group this month. Love the block. Thanks for a chance to win. It is about 10 degrees here overnight but that is warmer than your 10 degrees. It is 10C not 10F! Tomorrow it will be about 30 celcius. A hot day! Like your block and thanks for showing it in more than one colorway. I'd love to find 10 or more blocks in that book to experiment with. Thanks for the giveaway. I have not forgot-10 to include that magic number. Great block!! congrats! There are 10 people in my family! If I win I will make 10 of the quilts. Love your Corkscrew quilt. Making 10 of these blocks would make a nice sized quilt. Congrats on being in Vol. 10. I love your block especially after seeing it in a quilt with the secondary pattern. Loving the pinwheels and secondary pattern. Congratulations - a well deserved blocks! I sew in 10 minute increments, and eventually, quilts are made! Vol. 10 looks like a great book! I would love to win it. I love, love, love this block. I can imagine it made with 10 different fabrics for a real scrappy look! 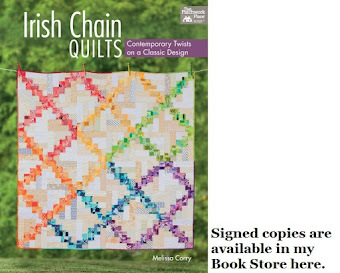 I could make at least 10 quilts with this book! Your block looks great! Congrats on making the cover of Vol 10! Love your block, 10 + 2 more would make a just the right size quilt. I love your block and quilts! 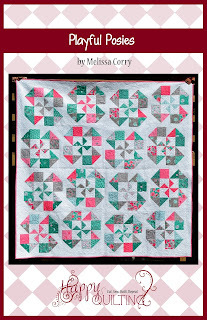 I would love to win a copy of Quiltmaker's 100 Blocks Volume 10! I'd rather be number 1 than number 10 in this contest! Looks like a great book. 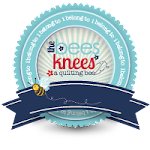 I can think of 10 other things I should have been doing this morning, but not one of them is more fun than a Quilty Pleasures blog hop. It's a 10 for sure! Congrats on making the cover. I TENd to love patchwork! I was born in the 10th month. Wow Melissa! How beautiful! Congratulations. I am so happy that I am getting more than 10 chances to win this magazine. I'd say both you and your block are a "10". Of course we all know that all TEN 100 Blocks magazines are at the top of the scale too!! :) Thanks for the chance to win a copy! My husband's birthday is January 10. I love your block and the quilts you made from them. Lovely! My quilt shop opens at 10 o'clock. Wonderful block and rates a 10 in my book! Thanks for a chance to win a copy of the magazine. 10 years ago, I didn't know how to quilt. Now I'm just a beginner but I love looking at other people's quilts ! I've got Vol 10 on my Santa wish list .. that is if I dont win it! Love your block! I'm happy if I get 10min of sewing time a day. Your designs are 10 times better than mine. I could make at LEAST 10 of those blocks! 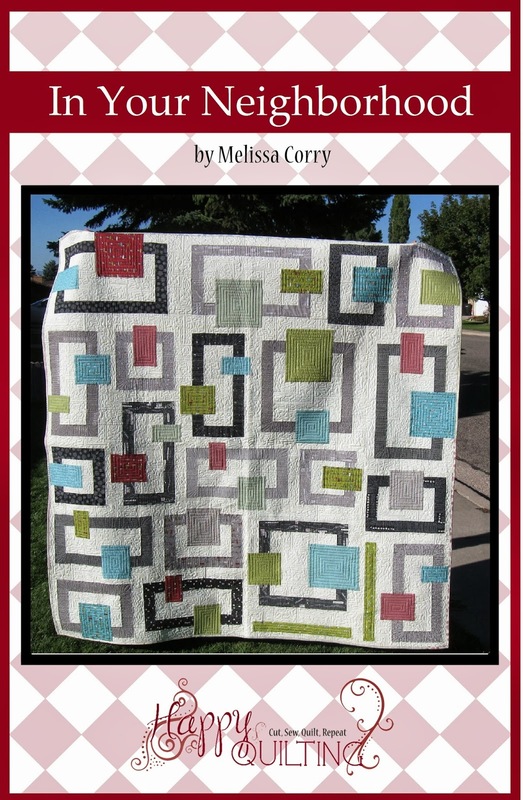 Congrats on having your block on the cover of volume 10 of Quiltmaker's 100 Blocks magazine. Thanks for sharing & thanks for the chance to win. i need 10 more weeks until christmas to get all my gifts made. Wow this block is a 10 out of 10!!! Love your block. 10 for the win! I like it much better as a quilt. You are right, the secondary design totally makes it pop! Here is my 10 minutes of computer time for the morning. Too bad, I wanted to go on the blog hop! Wow! I love the way this block comes together in a quilt. Gonna have to make this for my soon to be 10th grandbaby. 10 plus 6 blocks would make a great lap quilt! 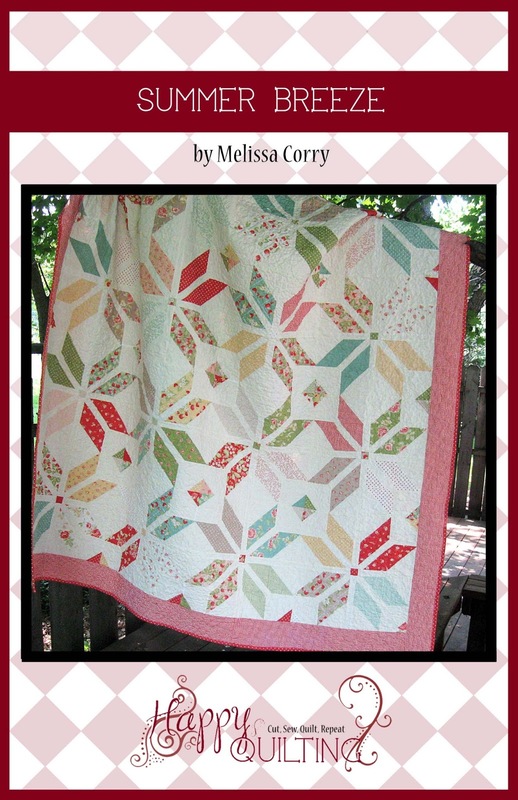 Wow.....Quiltmaker's Vol. 10....that's 1000 blocks! I wish I could make each one! So many blocks...so little time! dont know how you find the time to quilt with 10 kids. OOPS, you only have half that! Your design is a 10! Love the secondary designs as well. SO cool! We have babies coming out of the woodowrk in our family...this looks like a great quilt to make! Thanks for showing it! 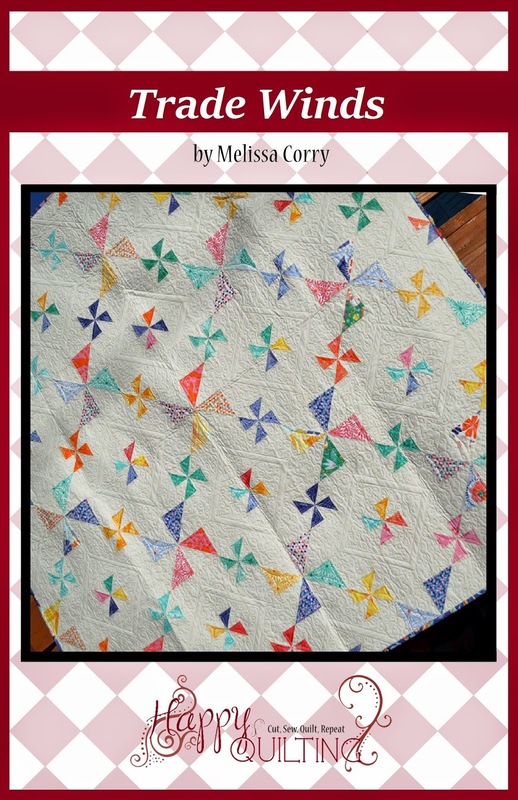 In 10 mins I am going to be sewing the binding on my quilt that I am giving to a friend for christmas, love your block and would love this book for christmas, thanks for the chance to win it, love your baby quilts! I love your block, it is definitely a 10!!! How about a quote by Washington Irving that has nothing to do with this block, sewing, quilting and more? Is this a ten minute block? In other words, can it be made in ten minutes? 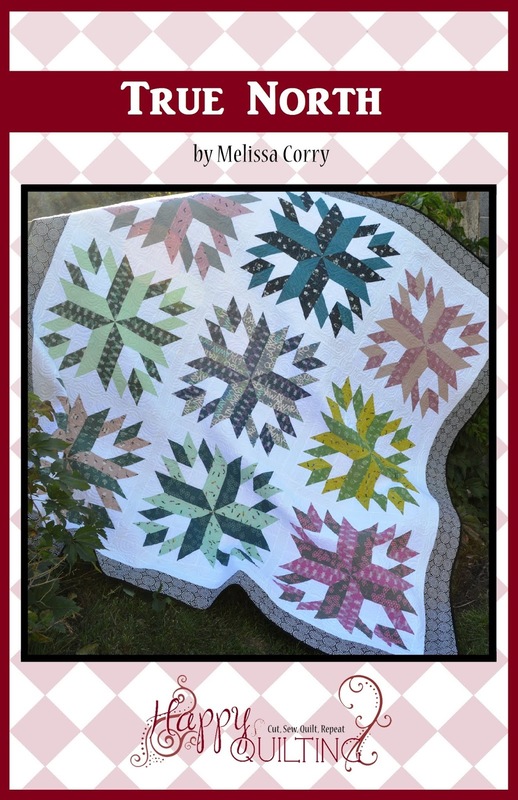 Congrats on making it into the 10th volume of Quiltmaker's 100 blocks magazine! That is a great block! It definitely deserves a ten in my book. I could snack on my 10 fruits and veggies per day while working on your block. 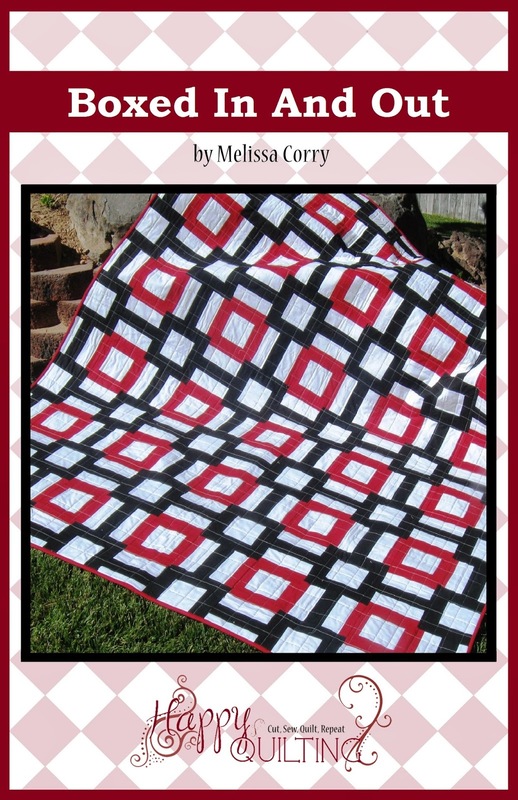 It's hard to believe that there can be 10 volumes of quilt block patterns which equal 1000 blocks in all. How can there not be duplicates? I love your block. Yay for volume 10 and your block being in it. I need to get busy at my machine!! Congratulations on your block-you are a 10! There are at leasr 10 bblocks in that book that I want to make. Congrats on your block no. 10! I love it! I especially love those colors- blue and purple! My favorite! I had fun looking at your block, trying to figure out the block units that you used. Pretty clever, I must say! 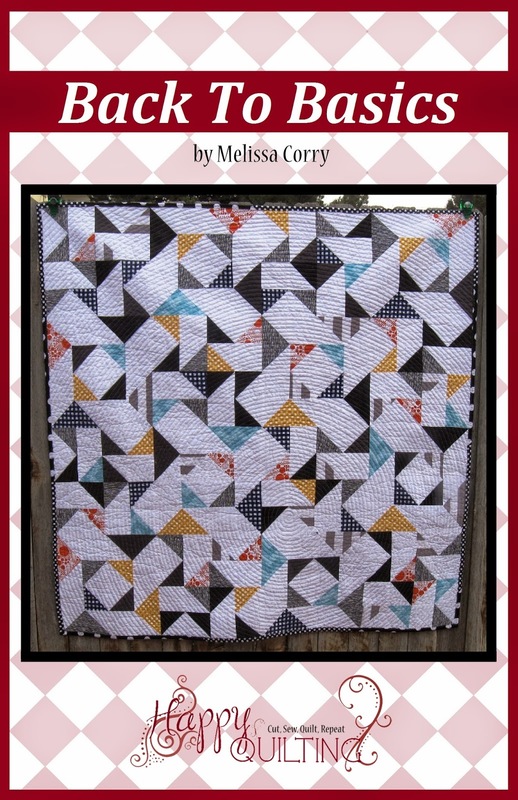 I love pinwheel blocks so this is one is a must try! 10 days for my road trip to CA before I'll be back in town (and at work). I'll miss the quilting time, but road trips are always fun and sometimes full of adventure. Your cute super fun block is just that. Only you would come up with the idea of using the number 10 to be included in your comments. I really love this block so much and will be making a baby quilt as well as a quilt for myself. 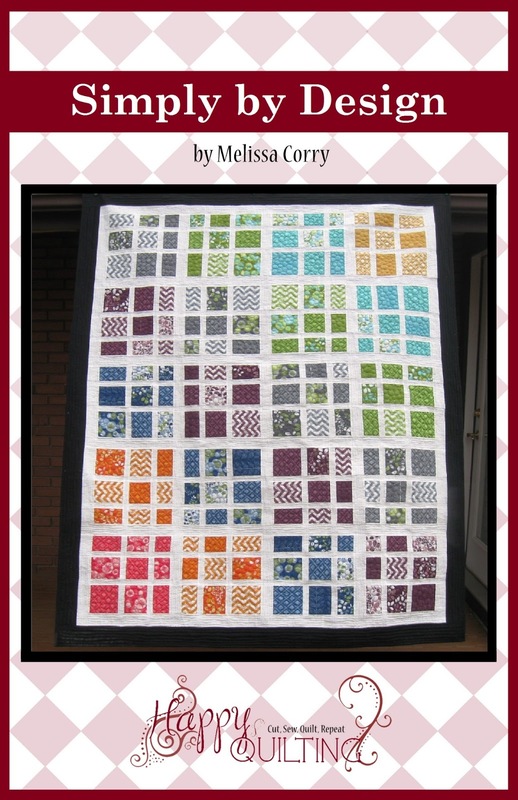 Thank you so much for being a part of QM 100 Blocks, Volume 10, Blog Tour and sharing this cute block with us. Yes, we all want to win a copy of this fantastic collector's magazine. Being a puzzle person I can see the number TEN spelled out in your block.......good work! Eerk! It's after 10 AM and I'm still on the computer looking at quilt blogs. Time to go sew! Volume 10! Hard to believe 1000 blocks! Would love to add this volume to my collection-thanks for the opportunity. Ten little Indians couldn't have done a better job on TEN quilt blocks!! Less than 10 days left in November and I haven't even begun getting ready for Christmas!! If I lived to be 110 I would still not have enough time to make all the quilts I want to!! Thanks for the chance. My son was born in October -- month number 10! Your design is a 10! I give this block (and quilts) a SOLID 10 out of 10!! I really like it, Melissa! Congrats on being a cover girl!! Well, I'd give your block a 10! It's lovely. 10, 100, 1000, 10000..... Quite the series you gotten going. Maybe with the 1000 blocks, 10000 quilts will be inspired. Love your blocks! I have completed 10 of the 15 queen-size quilts I am making for our 15 grandchildren. 10 are DONE! 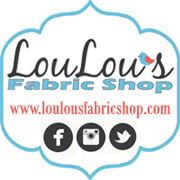 I in10dend to get a copy of this magazine to see all the quilty goodness it holds! I will be completing my 10th quilt ever over the Christmas holidays! Melissa, Thank you. I just became the Great Auntie of 10 little piggies. 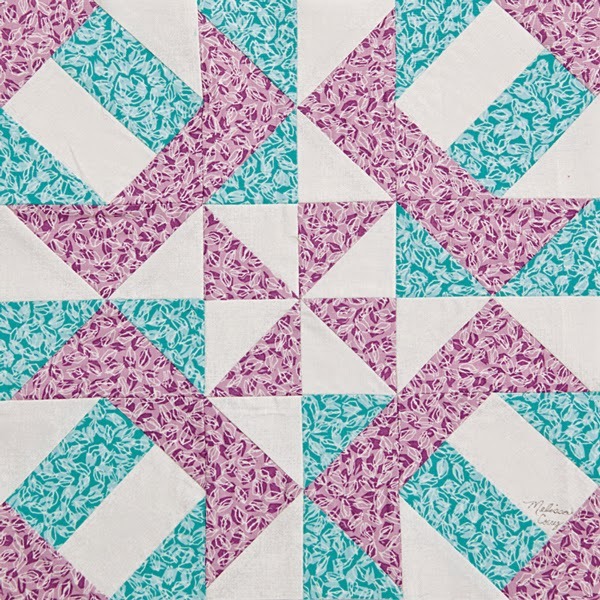 Love the blocks w/Sweetwater collection, and the versatility of each. WOW you are an amazing designer. I love blocks that create secondary designs or connect together! Very clever. Your score card reads 10 on both colorways! Looks great. Your block is a 10 in my book!! Great job and thank you for a chance to win. 10 times 10 is 100, and times 10 is 1000. That's a goodly number of blocks. WOW!!! That's 10 x Wonderful......great job! Love it!!! As I sit and write this there are 10 crows eating all the birdseed in the feeder. They would love the colors on your little girl quilt. Thanks for sharing. I'm intimidated by quilt blocks with more than 10 pieces. Perfect score - 10 for the Corkscrew! 10 Little Monkies jumping on the bed...........................you know the rest...:)) Great block. Love the movement your block has, especially in the quilts! Can't wait to get my hands on volume 10 so I can get started! I would like to make a quilt using ten of those blocks! What a wonderful block. It looks great in a quilt. Congrats on being chosen to be in Volume 10 of the magazine. How exciting to be published. LOVE this block! And I would LOVE to win Volume 10!! Your block looks like a 10 to me! Wow, this is really an interesting and beautiful block! Sorry to say though that what comes to mind with the number 10...is that I have been sick with a cold and bronchitis for over 10 days! I'm ready to be well! I have looked at about 10 blocks and yours is one of the nicest - especially in red or scrappy. Your block (and quilts) definitely deserve 10 out of 10! Love your block times 10! My very bestest friend has 10 kids...5 of them married and almost 10 grandkids! And she still has time to quilt! congratulations, you have made a wonderfully fun and happy block. I love the motion when more than one block is put together. I think 10 of these blocks would make a good sized quilt. High 5 no make that high 10!!!!! I hope I win!!!! I would say that your block rates a 10. I love how there are secondary patterns. I loved your block! I also loved the paisley quilting tutorial. I have at least 10 projects sitting here waiting to be quilted and I can see this going nicely with at least half of them. Thanks for your hard work and creativity. Your block is awesome and I love how it looks in the quilt - especially the boys quilt. It gets a 10 from me!!! This block, like all you create, is definitely a 10! Thanks! Congrats on being in the 10th issue! I love your block! I bought issue 10 already because I was afraid to wait! Another issue would go my great quilting friend. I have morethan 10 works in progress. In fact, I think I am over 10 x 2!! Yikes! Congratulations on your block. After 10 years of publishing 100 patterns/year, will there still be more to come next year? I hope so!! 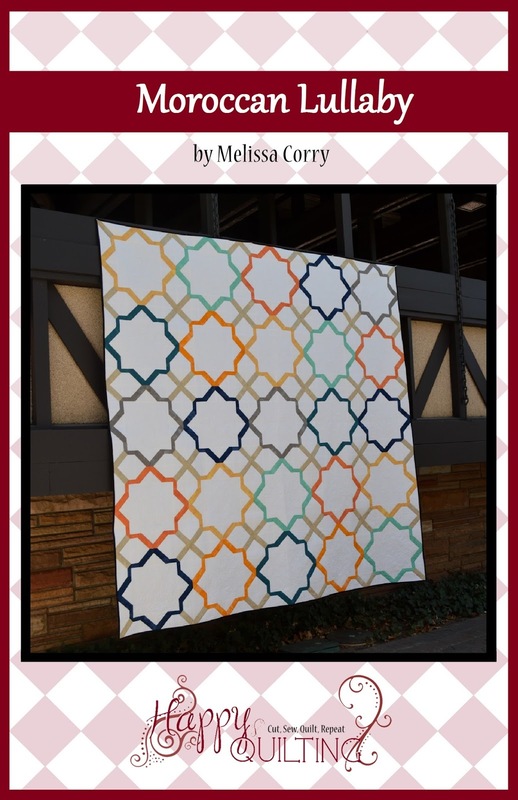 Melissa, I love Corkscrew as a block but I really love the secondary pattern that emerges when blocks are put together. After 10 more sleeps it will be December. I guess I had better pick up the pace on the Christmas sewing. Thanks for offering a giveaway. Oh I love your block, especially using just 3 fabrics...makes the pattern such an awesome focus!!! Definitely in my top 10 of all 1,000 blocks!!! Really love your block and congrats. I really hope I don't gain "10" pounds during the holidays. LOL Thanks for the fun. I have found many more than 10 great blocks in this hop, and in the issues. Great block. I need an extra 10 hours a week to make all the things I want to make! I hate to admit that I have more than 10 unfinished projects. 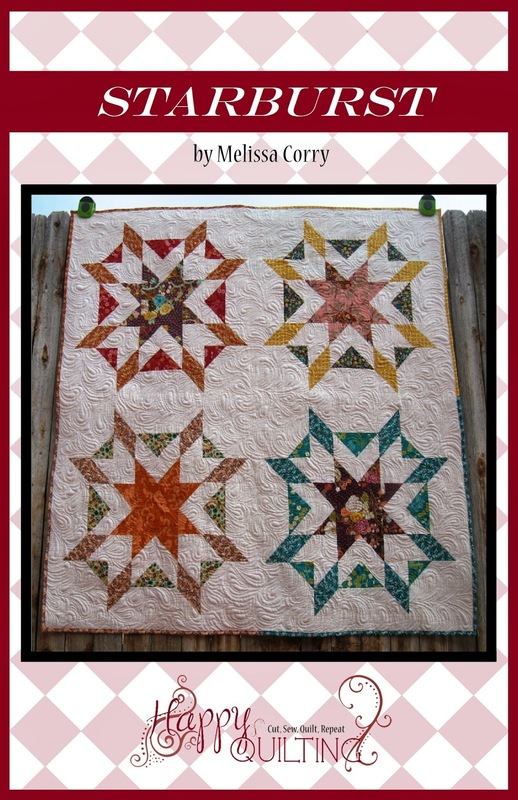 I could dream up a quilt with 10 blocks using blog hop block ideas. I love your block and the name. I would need to make at least 10 of your blocks for a quilt. Thanks. 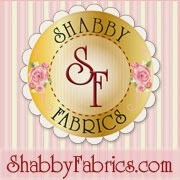 I am10 times more likely to finish a project when I love both the design and the fabric. Spring feels at least 10 months away. I like your block a lot. Love your block and would love the book! Then I could add to my list of 10+ wip's! I think your block is 10 times more interesting than all the rest of the magazine! Can't wait to see the next 10 that you make! I can't wait to get my hands on Volume 10! Maybe before grandchild #10 comes in about 10 days! HELLO, I've made 10 baby charity quilts this year! 10 is my lucky number!! Wow, volume 10 has a lot going for it. I love the secondary flower design your block makes! I didn't even see it until you mentioned it, but choosing fabrics to make that design more visible would be so fun. Congrats on publishing yet another great design! Congrats on being in vol 10. Very interesting block, Melissa! (My block, Intersections, is also in Vol. 10, so no need to enter me in the drawing.) Congratulations! I have 10 projects in progress, 10 more on a list, and at least 10 x 10 more swimming around begging to be made! Love your block, clever you! congrats on making it to volume 10! Congratulations on being a COVER GIRL in Vol. 10! Love the block and the colors you have chosen. for the 10th time, I love your block! 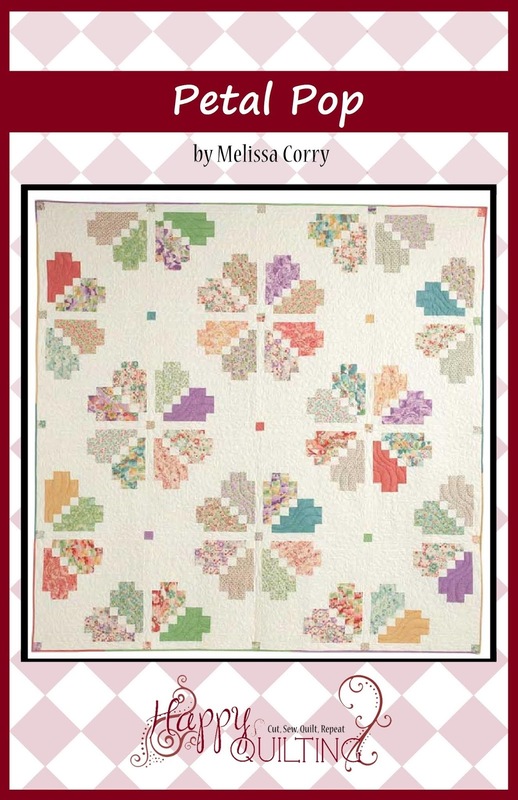 Would love to add a copy of Volume 10 to my quilting library. I hope Quiltmaker does another 10 volumes of this magazine. how about 10 lords a leaping? it's a phrase from one of my favorite holiday songs! 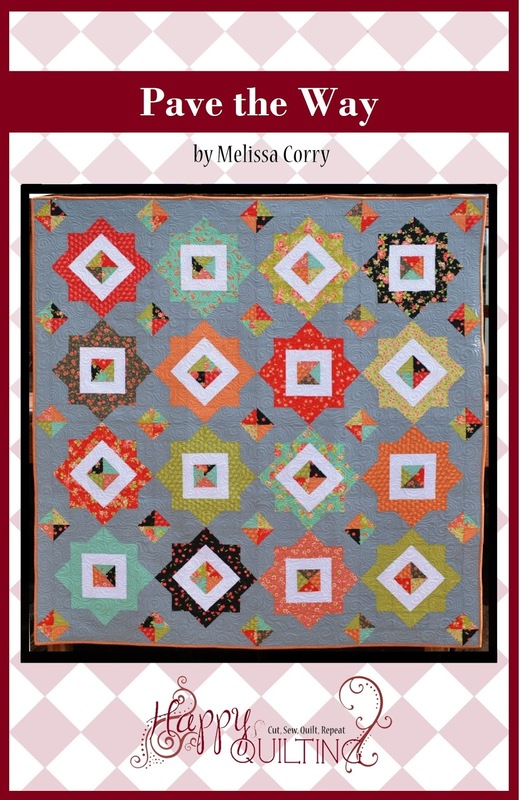 Every quilter should be able to find at least 10 blocks they want to try in Volume 10 of Quiltmaker's 100 blocks issue. I would love to win a copy of volume 10. 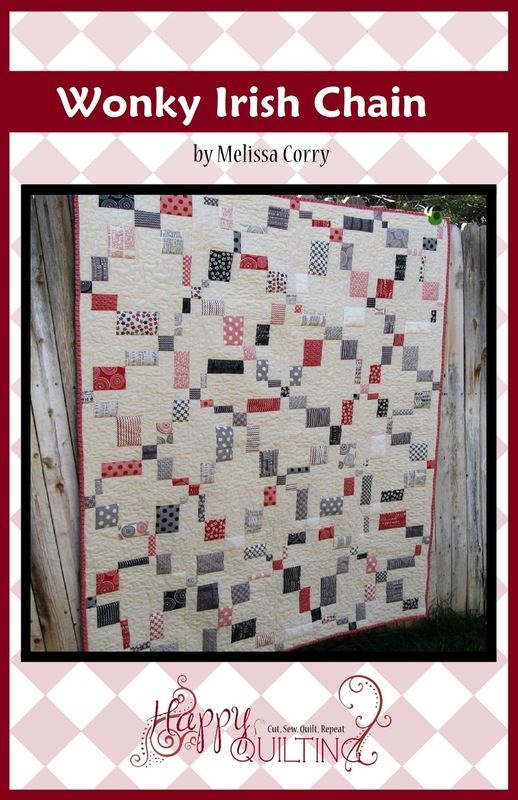 I have some black & white and red fabrics that would work well in this block. I am an aunt of 10 kids! 9 are boys and there is only 1 girl!! Great block and love seeing it in different color ways. Volume 10 looks like another great issue with lots of wonderful blocks. 10 litle baby toes, this would make a cute baby quilt! This Volume 10 blog hop has been a lot of funspiration. How about 10 gold stars! Lovin this block! I hope in 10 minutes all my kids will be asleep!! There are 10 buttons at the top of this blog. The block looks great, too! 10 days til Dec. 1st. Congrats on making Vol. 10! I'd really like to go to bed by 10 tonight, but the baby took a late nap. Guess I'll finish binding a quilt instead! Thanks! Once I win or purchase this volume, I'll own all 10 of the 100 Blocks magazines. Your block is definitely in my top 10 blocks to make. Great block! I love the secondary design that occurs. Thanks for the giveaway. Congratulations on making it into "100 Blocks Volume 10" ! This Blog Hop has been a real "HOOT". Thank you for sharing Corkscrew; it's lovely. I don't have all 10 issues of the magazine, but I'm close.